A lot of Latin American restaurants feel the need to include Mexican food to draw otherwise unsure customers in. For that reason, I am always excited to find ethnic restaurants sticking to their goods. 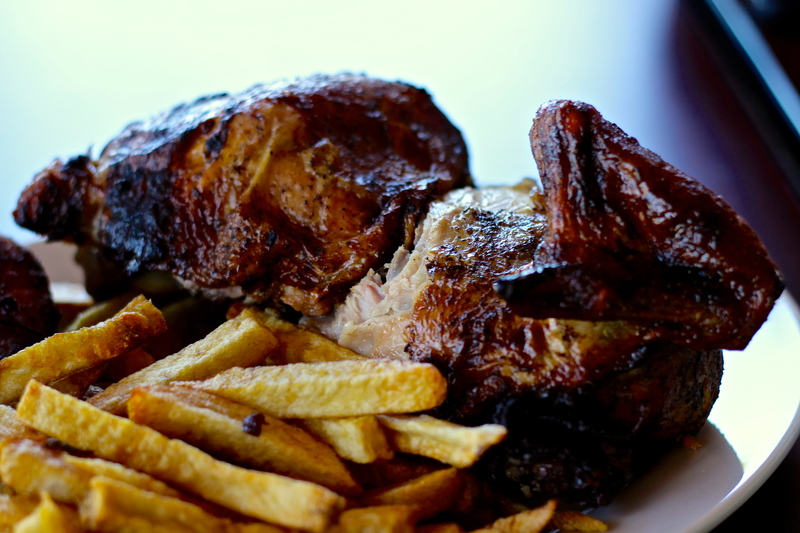 One such restaurant is Peru Chix, basically a hole-in-the-wall type of place in Gardena. Peru Chix has such Peruvian favorites as Lomo Saltado, but I kinda thought chicken would be the way to go. So I went ahead and ordered half of one. As a combo, which is most likely meant for multiple people, it came with two sides and a drink. 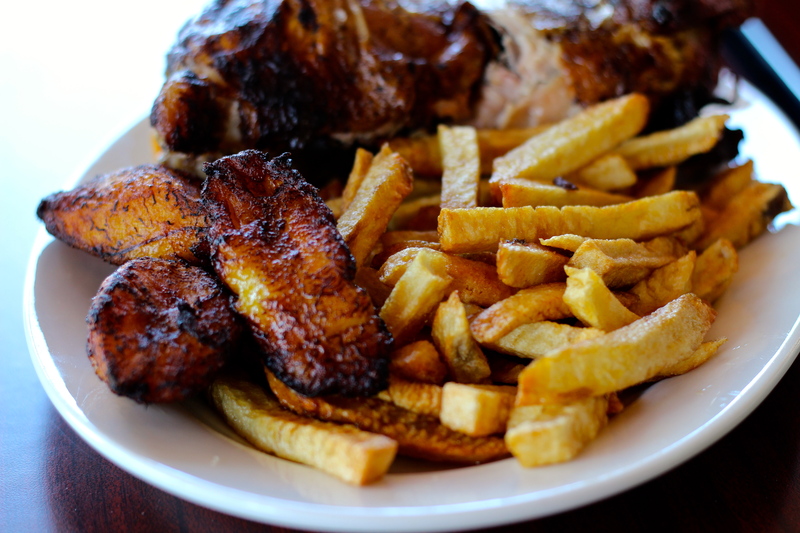 I chose the fries and fried plantains, then looked at the pretty Peruvian meal in front of me. The chicken was rotisserie style fully clothed in skin and nicely seasoned. But, like all good Peruvian restaurants, they had some aji sauce to dip all foods in, as well as some sort of house dip. The aji was surprisingly spicy, but delicious. The sides were pretty damn good too. I always love me plantains and they managed to cook them up with a bit of crisp and none of the oiliness that sometimes accompanies fried plantains. Perhaps best of all, the whole shebang was only 10 bucks. It’s a great deal for some satisfying food.